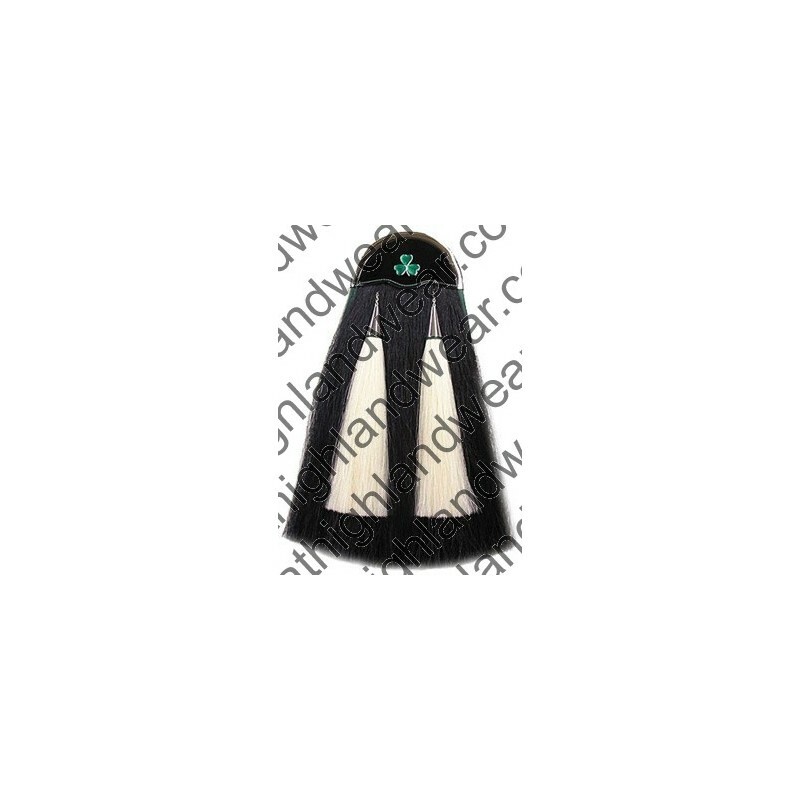 Real horse hairs sporran in black color with Shamrock badge and 2 tassels. Also inqluded heavy weight leather chain belts. 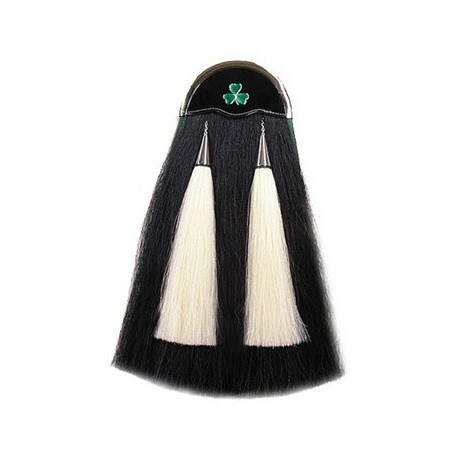 The Horsehair sporrans all use a very high quality of Real Horse hairs. The color is rich and the texture is full. The horsehair sporrans always come with a full leather pouch. All horsehair sporrans include a heavy weight leather chain belts.